A nasty side of radio announcer Mike Hosking spilled out into view last week as he ‘bashed’ the victim of John Key’s serial bullying. Hosking, supported by TVNZ’s OneNews, sponsored by RaboDirect, vilified the waitress whom the Prime Minister admits he repeatedly harassed, pulling her hair at her workplace over several months, despite her objections. In a bizarre and deeply unpleasant tirade, Hosking castigated the victim as ‘selfish’ for speaking up publicly about her treatment by Mr Key. He accused her of being ‘puffed-up’, ‘self-involved’ and politically motivated. These are all epithets that could far more properly be applied to Mike Hosking, in my opinion. Here’s the thing: Hosking used his platform on a news and current affairs show aired by our public broadcaster TVNZ to attack and demean the victim of this abuse; then – in a manner that almost sounds like a parody, but is apparently serious – Hosking declared the ‘real losers’ in this appalling case to be her employers, saying they’ve faced needless suffering because of the victim’s ‘selfishness’. To some of us, Hosking has always been a shallow little man who takes himself too seriously. His awkward, self-absorbed manner, mental disconnects, and truly ‘odd’ values system are widely mocked (see almost any of Radio Hauraki’s “Like Mike” take-offs) and I don’t say these things with no context. 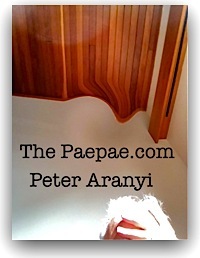 See my other post ‘The road to Mike Hosking, vilifier of young women‘. But the toxic, victim-blaming rant Hosking delivered against the victim in this case is intolerable for a public broadcaster. They’re bad enough in the fetid swamp of talkback radio. Hosking’s attack on the young woman actually resembled hate speech against an identifiable person. It astonishes me that this man who as a father went to so much trouble and expense to protect his twins from the attention of paparazzi for the Women’s magazines should display such a lack of compassion and empathy for someone else’s daughter – a young woman repeatedly harassed at her workplace. This is no way for Hosking to defend his political friends. If you object to Hosking’s disgusting behaviour (as I do) a friend of mine, Giovanni Tiso has collated the contact details of the people and organisations who need to hear your voice. Visit this Facebook page for details. I write to express my profound disappointment that a broadcaster – and the state broadcaster in particular – would allow itself to become a vehicle for such ignorant and damaging comments. Not only is Mr Hosking incorrect when he states that Ms Bailey should have “gone to her employers” with her complaint (she did, and it is a matter of public record http://thedailyblog.co.nz/2015/04/22/exclusive-the-prime-minister-and-the-waitress/), but for a broadcaster to imply that a woman who is harassed by a public figure should be gagged, or brand her selfish or politically motivated for speaking out, is simply unacceptable. Broadcasting is a privilege that comes with responsibility towards civil discourse and the public. I feel Seven Sharp failed these obligations last week. I further refer you to comments by the National Council of Women, backed by Equal Employment Opportunities commissioner and former National MP Jackie Blue (http://www.stuff.co.nz/national/politics/67955124/john-keys-ponytail-pulling-of-waitress-labelled-sexist), as well as the comments made to Radio New Zealand by former National MP Marilyn Waring (http://www.radionz.co.nz/national/programmes/morningreport/audio/201751578/political-scientist-and-former-mp-comment-on-ponytailgate), who characterised the prime minister’s actions as sexist and probably unlawful. We have a dreadful record of abuse towards women in this country. It is frankly disturbing that a broadcaster with the influence of Mr Hosking should be more concerned with the fallout on a hospitality business than for the victim of repeated acts of harassment, especially since her version of events has been neither denied nor refuted by the prime minister, and stands as fact. The message sent by your show last Thursday is a very damaging one. I am also of the strong opinion that the show was in breach of broadcasting standards 4, 5 and 6, and failing adequate redress on your part I plan to lodge a formal complaint to this effect with the Authority within the requisite time frame. I also intend to communicate separately with your principal sponsor, RaboBank. Don’t let Hosking’s promoters and enablers at TVNZ hide behind the fig-leaf of “Oh, that’s just Mike’s opinion“. 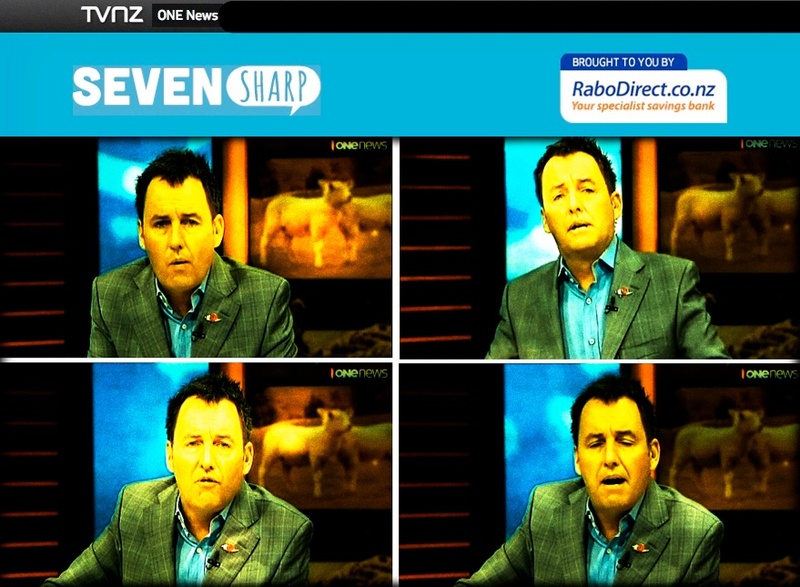 Look at the branding: TVNZ One News, Seven Sharp and RaboDirect. That’s who this hateful little runt was representing when he pumped out his victim-blaming poison on air. Tell them it shouldn’t continue. Amanda Bailey deserves an apology – if not from Hosking, then from the people and businesses that employ him and promote him. PS Please don’t waste your time telling me this is a ‘freedom of speech’ issue. This is a freedom of speech issue. Surely not?! (The “free speech” defence, I mean). I’m an active civil libertarian. If someone says “all waitresses are selfish” that’s freedom of speech. If the same person says “that waitress there is selfish” that’s abuse. It ain’t rocket science; it’s not even advanced semiotics. Yes, I was kidding, but I think it is useful to reflect on the difference between speech that constitutes critique and dissent (see Scott McIntyre), which should be protected, and speech that is abusive of victims and the less powerful, which should not. Hope you haven’t got a copyright on your excellent letter, as i copied and pasted it as a complaint to TV1, and am encouraging others to do the same. Good man!